The Best Resume Writing blogs from thousands of top Resume Writing blogs in our index using search and social metrics. Data will be refreshed once a week. Resume Writing newsletter is a comprehensive summary of the day's most important blog posts and news articles from the best Resume Writing websites on the web, and delivered to your email inbox each morning. To subscribe, simply provide us with your email address. About Blog Post your resume for critique, critique someone else's, or look for examples of resumes in your field. Florida About Blog Resume writing tips from certified resume writers and personal branding professionals. Blog by Award-Winning Executive Resume Writer Jessica H Hernandez. Facebook fans 4,075. Twitter followers 13,933. About Blog Land your next executive role with a powerful LinkedIn profile, attention-grabbing executive resume, targeted communications, thorough interview preparation & an effective job search plan. Advance Yourself! Facebook fans 5,620. Twitter followers 8,175. Facebook fans 437. Twitter followers 93. About Blog Find My Profession is the home of the #1 Executive Resume Writing Service for six-figure earners. Our team of executive resume writers will manage every aspect of the job search from the resume and applications to the job offer. Facebook fans 1,330. Twitter followers n/a. Brooklyn, NY About Blog Career Consulting, Resume Writing, Personal Branding and Job Search Strategy Tools for Professionals in Transition. Facebook fans 599. Twitter followers 1,481. About Blog We are a bunch of young, creative people working together to bring you the latest news about career and resumes. Facebook fans 3,980. Twitter followers 3,280. US About Blog We offer different blog posts that tackle different topics on resume writing services and job search. Take advantage of these resources now. Facebook fans 433. Twitter followers 857. Denver, Colorado About Blog Executive resume writing trends and LinkedIn tips from award-winning executive resume writer Laura Smith-Proulx. To advance the career trajectory of executive leaders in analytical fields. Facebook fans 29. Twitter followers 12,488. Colfax, WI About Blog Certified Professional Resume Writer, Heather Rothbauer, seeking to share resume and cover letter tips. Writer, communicator, and business trainer based in Wisconsin. Facebook fans 1,183. Twitter followers 1,272. Facebook fans 778. Twitter followers 20,417. About Blog Get tips on career, resume writing, interviews, getting the dream job, making first impression in job interview, resume writing tips and career advice. Facebook fans 359. Twitter followers 27. Oakville, Ontario, Canada About Blog Elite Resumes has been providing successful executive resume writing and job search coaching since 1993. Martin Buckland, Principal of Elite Resumes, is one of North America’s leading authorities on highly effective executive resume writing, high impact cover letters, successful job-search strategies, executive coaching, personal branding, interview tutoring and social media career strategies. Facebook fans 581. Twitter followers 2,840. Lake Texoma, Texas / Global About Blog Executive resume writing blog. Masterful professional resume writing tips. Facebook fans 353. Twitter followers 19,207. About Blog Stay in touch with the latest CV writing trends, employment news or simply entertaining stories. Resume Writing Lab is here whenever you need it! Facebook fans 1,015. Twitter followers 647. Austin About Blog Career coaching can give you a big advantage in the job market. Let us help you stand out with our career counseling, job search coaching & resume writing. Facebook fans 394. Twitter followers 34. Los Angeles, CA About Blog Looking for a job? Need a professional resume writing service? Let us write your new resume and be the One they want to Interview & Hire. Click here for effective job search strategies shared by a certified resume writer and experienced recruiter. Facebook fans 732. Twitter followers 121. India About Blog Resume Writing Tips & Career Advice by Resumonk. Resumonk is an online resume builder that saves you money and time by helping you create professional and beautiful resumes. Resumonk handles the job of formatting and converting your resume into pdf format, thereby letting you focus on writing quality content. Facebook fans 575. Twitter followers 620. Boerne, Texas About Blog Top Blog for C-Level Executives in career transition. Tips on executive resumes, LinkedIn profiles, recruiter and private equity distributions, growing industries and more. Facebook fans 24. Twitter followers 546. Miami, FL About Blog Career advice blog with job search tips written by Wendi Weiner, The Writing Guru, attorney and top career expert featured in 50 major media outlets. Facebook fans 1,472. Twitter followers 7,243. About Blog The most comprehensive articles about resumes on the web. Facebook fans 239. Twitter followers 28,621. About Blog Learn about the latest in resume, CV Writing, Jobs, Interview Process and Tips & Tricks to help you in your professional career at Art2Write Blog. Facebook fans 58. Twitter followers 50. About Blog ResumeGo crafts professionally written resumes, cover letters, and LinkedIn profiles that separates you from the competition and favorably positions you to get hired. Our resume writing services will guarantee you more interviews and job offers. We have professional resume writers who know all the inside secrets behind crafting the perfect resume. About Blog ZipJob's professional resume writers, and our resume scanning technology, provide you with the best resume writing service possible. Facebook fans 1,220. Twitter followers 65. Omaha, Nebraska About Blog Ideas, information, and resources for professional resume writers. Charlotte, NC About Blog I started Virginia Franco Resumes several years ago when I recognized that my 15 years of corporate communications and web, newspaper and magazine journalism offered me a unique understanding of how to translate the complex into plain-speak with just a 90-minute interview, how people read documents when pressed for time, when reading online and when reading in print. Facebook fans 95. Twitter followers 2,280. About Blog We are a team of professional resume writers who know how to make your resume work for you! We are passionate about resume, CV, cover letters writing. Facebook fans 14. Twitter followers 136. Canada, US, International About Blog Executive resume writing services for mid-career professionals, managers, and executives. Blog by Daisy Wright. Facebook fans n/a. Twitter followers 7,646. About Blog Professional resume writing, cover letters, bios and LinkedIn profiles that make you stand out from the 9.6 million other people currently career searching. Nationwide About Blog Top caliber and certified providers of resumes, CVs, cover letters and career consultation. Facebook fans 197. Twitter followers 45. About Blog Let ResumeEdge help you craft a compelling career story that helps you get the job. With a collaborative, personalized process and professional resume writers specializing in more than 40 industries. Facebook fans 5,556. Twitter followers 354. About Blog Get Set Resumes is an award-winning professional resume / CV writing firm catering to clients from over 26 countries including India / US / Australia / Middle East / Gulf Countries. We write customized, specialized, professional, powerful and modern resumes / CVs / biographies / linkedin profiles and letters which get attention from recruiters and instant interview calls. Facebook fans n/a. Twitter followers 2,077. Delaware, USA About Blog Resume Genius provides you the smartest career resource for employment news. Learn how to write a resume, get an interview and succeed in your career. Facebook fans 12,555. Twitter followers 2,600. UK | IE | NZ | ZA About Blog We help people to prepare winning professional CVs, to excel at interview and to consequently achieve the jobs they want, the jobs they deserve - whether in the UK or internationally. Facebook fans 4,581. Twitter followers 628. About Blog SeekingSuccess.com is based in California and our clients span the globe. We are never more than a click or call away when you need resume or social media profile writing help. With more than 17 years in the business of executive and technology resume writing, we are experts at positioning candidates for success. About Blog BestResumes is here for you to help you with your resumes and career path! Write the perfect resume and get the job you want! Helping people to have the most smooth job transition. Facebook fans 231. Twitter followers 12. About Blog Our mission is to be the resume writers of choice to all thinking job seekers by providing the most comprehensive and excellent quality service available. Facebook fans 1,046. Twitter followers 677. Australia About Blog Our obsession is writing and designing resumes and cover letters for the career-minded, the executive and the job seeker. Facebook fans 5,915. Twitter followers 17. Facebook fans 688. Twitter followers 67. Facebook fans 22. Twitter followers 26. Gold Coast, Queensland About Blog Follow this blog for resume writing advice and tips to help your job search. Facebook fans 627. Twitter followers 38. Ottawa, ON About Blog Professional writer and editor specializing in resume writing services. We will help you choose the best resume format to improve your job search. Also offers business and academic writing and editing services. Blog by Natalie Joan. Facebook fans 265. Twitter followers 973. About Blog Red Letter Resumes is a professional resume writing service provider. We specialize in resume writing, cover letter writing, and LinkedIn profile creation and enhancement. We offer service packages that are tailored for years of career experience and also for technical, engineering, and IT resumes. Facebook fans 151. Twitter followers 590. New Jersey About Blog For resumes that land on the top of the pile! Riklan Resources Provides Expert Resume Writing & Corporate Outplacement Services In New Jersey & New York City Area. Facebook fans 1,694. Twitter followers 21,243. Facebook fans 2,173. Twitter followers 62. About Blog In the blog section our writers and editors share insightful tips on career advancement, resume writing, interview recommendations, etc. Facebook fans 178. Twitter followers 2,569. North Jersey About Blog I'm a professional resume writer, mom, wife, career strategist, and Bravo TV addict. I love helping my clients realize their goals and sharing insights about work, life and everything in between. Facebook fans 287. Twitter followers 409.
mt pleasant sc About Blog Building Corporate Value Through Powerful Resumes. With over 15 years of experience, our professional executive resume writing will help get you in the door with your future employer. Facebook fans 4. Twitter followers 18. Indore, India About Blog Resume Writer For You is a professional resume writing services providing company in India. Get a professionally written resume online to achieve your DREAM JOB. Facebook fans 1,334. Twitter followers 582. About Blog Home, Blog & Shop of Martin Yate, NY Times Bestselling Professional Career Coaching, Linkedin & Resume Writing Services Author for over 30 years. Facebook fans 860. Twitter followers 2,348. About Blog Resumes that work. That's what our professional writers do. Our resume / cv service is your chance to get a dream job! Facebook fans 769. Twitter followers 1,983. Burnaby, British Columbia About Blog Innovative Resume Writing blog. Offering targeted resume writing and design. Cover letters and other employment-related documents also available. Facebook fans 231. Twitter followers 24. About Blog Resumes.Expert will help build that future for you by crafting resumes, CV’s and cover letters that will not and cannot be ignored by recruiters or hiring managers. About Blog Resume writer providing professional resume service to job seekers. New York, NY About Blog Resume Newbie provides professional resume writing services that will showcase the capable you. From cover letters to Linkedin profiles, Resume Newbie will customize your documents that will highlight your strengths, camouflage your weaknesses, and makes you proud to show off. Facebook fans 19. Twitter followers 162. Southeast, USA About Blog Blog resource for resume writing and job search advice for today"s job market. Facebook fans 44. Twitter followers 83. Denver About Blog Virtual Resume Coach offers one-of-a-kind resume, LinkedIn, and career coaching services. Blog by Debra Mastic. Facebook fans 72. Twitter followers 134. About Blog Let Gayle Howard, an award-winning Master Resume Writer, Certified Executive Resume Master, G3 Coach, Executive CV writer, and Certified Personal Branding Strategist, jump start your job search with expertly written resumes and coaching. Facebook fans 395. Twitter followers 8,598. About Blog Blue Sky Resumes is a small team of professional writers and job search experts based in New York. We offer one-of-a-kind resumes and fantastic customer service. We love what we do. Facebook fans 914. Twitter followers 2,738. 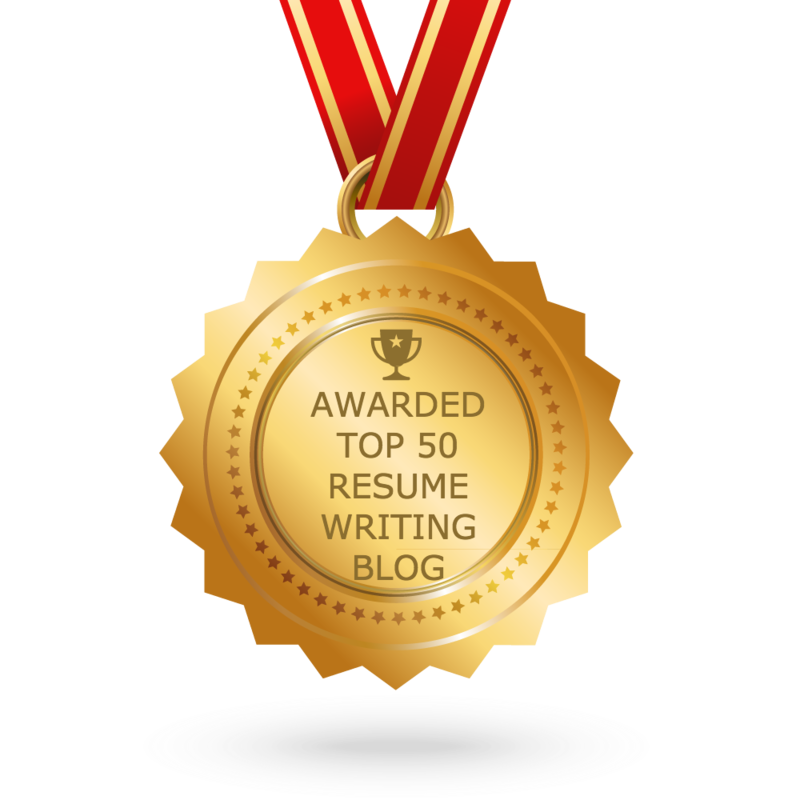 CONGRATULATIONS to every blogger that has made this Top Resume Writing blogs list! This is the most comprehensive list of best Resume Writing blogs on the internet and I’m honoured to have you as part of this! I personally give you a high-five and want to thank you for your contribution to this world.